We can easily list the powers used by Her Majesty regularly (or rather more often on her behalf), though there are many which have either fallen out of use completely (though remain available) and several crucial and significant powers which are able to be deployed in the event of a national emergency. 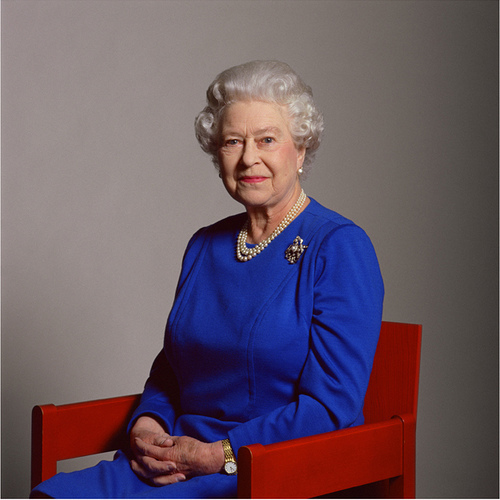 The power to grant honours: The Queen regularly grants honours independently to what are regarded as the ‘personal’ orders of the Sovereign, such as the Royal Victorian Order and the Orders of the Garter and Thistle. The appointment of the Prime Minister: Though bound to appoint the person ‘most likely to command the support of the House of Commons’, this is a power The Queen exercises herself after General Elections. The granting of hereditary peerages: Whilst hereditary peerages are no longer granted outside the Royal Family, The Queen personal retains control of titles and styles within the Royal Family, including granting hereditary peerages (most recently, for example, making Prince William, Duke of Cambridge in 2011). In addition to this The Queen personally enjoys certain privileges which might be said to be ‘exemptions’ rather than part of the Royal Prerogative. These include things like not needing a driving license and number plates on her car as well as a legal exemption from income tax (which she doesn’t exercise). Traditionally also, the Sovereign is – by default – exempt from statute law, though crucially can be bound by it where explicitly expressed. In other words, where a law explicitly states that it applies to the Sovereign, it may then be applied; hence why the Royal Prerogative can be and is bound by statute law. Over the years there have been numerous attempts to curtail or ‘update’ the Royal Prerogative. While many prerogative powers have simply faded away over the years, many have also seen their end at the hands of Parliament. Most recently, what was formerly regarded as one of the most important powers of the Sovereign – the ability to dissolve Parliament and declare an election – was removed at the introduction of Fixed Term parliaments back in 2011. It was argued at the time that the power became redundant at the introduction of the fixed terms parliaments act, which prevented the Prime Minister being able to choose when to call an election – because Parliament dissolved itself after a set period of time, and so arbitrary intervention would never be required. Constitutional convention carries that no new royal prerogative powers may now be created, a resolution which English courts have upheld. However, this does not bind parliament, which convention says may legislate for anything. Indeed, a number of smaller, yet still significant powers have been added to the Royal Prerogative in recent years, though many argue they are an augmentation of existing powers rather than separate additions and so do not break the ‘no new prerogatives’ rule per se. One of the lesser-known prerogative powers is the power to “enter upon, take and destroy private property” in the event of a grave national emergency. Despite rarely having cause to be used, the power is still extant and could be used by Her Majesty (or by her ministers on her behalf) in the event of some crisis. A recent addition to the Prerogative, contained in the Civil Contingencies act 2004, gave certain powers in the event of civil disorder. Designed to be used by when it isn’t practical to get the approval of Parliament in the case of national strife, The Queen-in-Council (that is, through the Privy Council) may create ‘emergency legislation’ lasting for 21 days, which could include suspending certain acts of parliament. The 2004 act is actually an updated and revived version of a previous act creating a similar power, with the new act being used to better define its boundaries, including setting out the circumstances in which it may be used. Nonetheless this emergency power can now be considered a crucial prerogative that can be exercised by The Queen. As well as powers established in statute, there are also some prerogative powers deriving from common law whose continued existence is questioned by experts. Many of these relate to things which are defunct or otherwise no longer relevant, such as the ‘right to impress [conscript] men into the Royal Navy’ and the rather peculiar responsibility of “guardianship of infants and those suffering certain mental disorders”. Other ‘obselete’ prerogatives include the right to sturgeons and whales found on the British coast and the “right to waifs and strays”. Perhaps the most consequential power The Queen still maintains is the power to send the United Kingdom to war. Many powers relating to the Armed Forces are in fact contained within the Royal Prerogative, reaching right up to the fact that the Royal Navy itself is maintained as part of the Prerogative rather than being established by statute like the Army and RAF are. The commissioning of officers, deployment of forces (and their disposition) and requisitioning of ships in the event of an emergency are all powers which The Queen maintains. Several serious attempts have been made in recent years to bring the power to go to war to Parliament. After the controversial deployment of British troops in Iraq in 2003, convention has emerged that Parliament will vote on all future wars, however the power to wage war remained in the prerogative – numerous bills in Parliament have included the provision to put this convention into law, though all so far have failed. 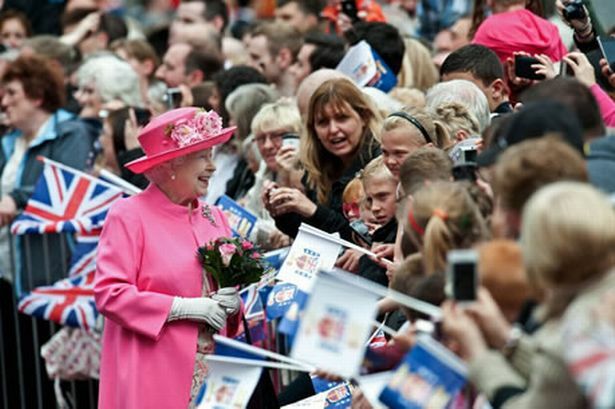 As ours is a constitutional monarchy, the active role of The Queen in the state can be misunderstood, especially by those who take her public appearances to be the entirety of her role. The best summation of The Queen’s role in the constitution, however, is that the business of state is conducted for her (in her name), rather than by her. Despite this constitutional qualification there are occasions when The Queen may intervene for the good of the nation – such as unconstitutional behaviour by a Prime Minister. There’s some debate as to at what stage The Queen may be able to intervene in such an occasion, whether before a Prime Minister acts or after. What remains perhaps the most critical constitutional function of the Crown in modern Britain is its very presence, which denies the power and grandeur that comes with the highest office in the land from political zealots and would-be dictators. Much of the de rigueur and “dignified” side of the business of state is left to The Queen as part of her constitutional role, a fact reflected in the Royal Prerogative itself. This includes everything from the accreditation of foreign diplomats to Her Majesty’s court and the sending of ambassadors abroad to the prerogative of mercy and regulation of passports. Many of the prerogative powers are exercised through the Privy Council, where The Queen approves ‘Orders in Council’ which form what’s known legally as ‘secondary legislation’. The Privy Council is also used as a mechanism by Government sometimes for instigating certain laws and exercising powers without having to waste parliament’s time with the minutiae of fulfilling certain small-scale obligations. One such example of this is the regulation of burial grounds in the UK. The Queen-in-Council exercises the power to designate new burial grounds and require, by law, that no burials take place in certain other ones. The power to institute public inquiries. Powers relating to postage stamps in the United Kingdom. The singular right to print or license the printing of the Authorised Version of the Bible, the Book of Common Prayer, state papers and Acts of Parliament. Require ‘personal service of subjects’ when the nation is in extreme peril. The absolute exemption of the Crown from civil litigation and prosecution. The right to construct and supervise harbours. The power to declare and amend bank holidays. The regulation of coinage (via the Royal Mint) and its design in the UK. There’s no doubt that over the last few decades especially, the Royal Prerogative has become more of a device for ministers than it has for The Queen to unilaterally intervene. With Parliament set to consult on the viability of a written constitution for the UK to consolidate the bulk of our constitution into one document (as opposed to the uncodified constitution which we have now), the very nature and scope of the Royal Prerogative could be changed, with the possibility of it being brought fully onto a statutory footing with its reach being fully transparent and intelligible, as opposed to deriving from centuries of possibly outdated common law and usage. The subject of the Royal Prerogative has been one that’s fascinated monarchists and constitutional experts for centuries and doubtless will continue doing so as the years go on. For now though, it remains one of the most quaint, historic and intriguing reminders of the role of the Crown in the British constitution. Esse post foi publicado em História, Joanisval, Monarquia, Um pouco de tudo e marcado causa monarquica, Elizabeth II, legitimidade monarquica, monarca, monarquia constitucional, monarquia x republica, poderes do monarca, poderes do soberano, prerogative powers, presidente x rei, rainha, rei, Royal Prerogative por Joanisval. Guardar link permanente.